Posted October 28th, 2011 by Simon & filed under Flash. 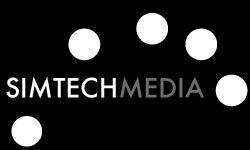 TKM9 is an inline digital agency based in Melbourne where I work. 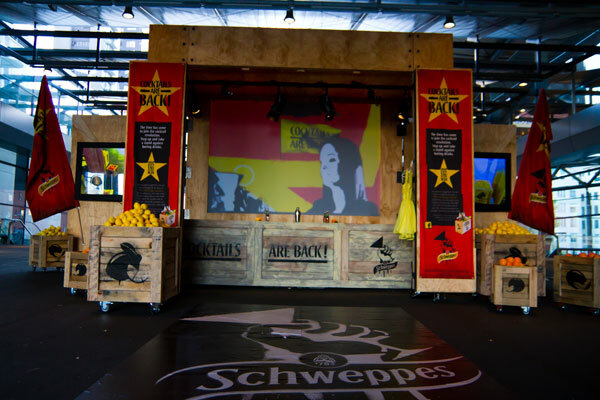 TKM9 were engaged by Schweppes Australia to produce an interactive experiential installation to promote how easy mixing cocktails are. 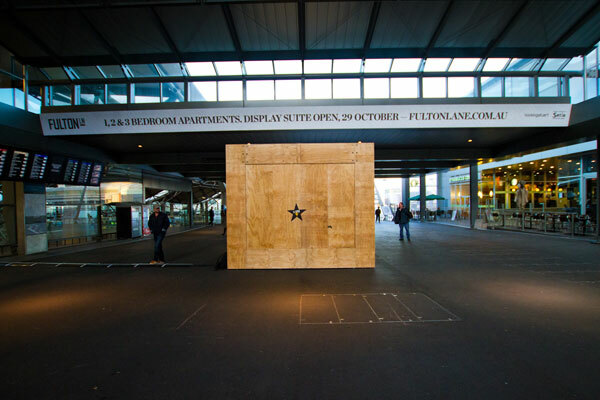 Our campaign would begin when without explanation overnight we dropped a massive crate in the middle of one of Melbourne’s busiest train stations. All passers-by could see was a peep hole on one of the sides revealing a hologram of a cocktail glass. When the speculation was almost too much, after three days we opened the crate to reveal an interactive bar. 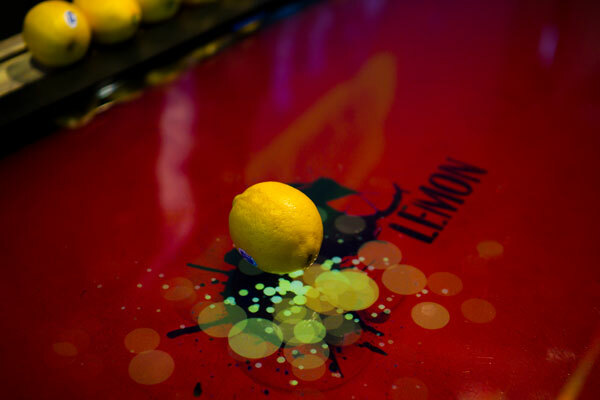 Complete with an interactive table on which anyone can place a single fruit and a Schweppes mixer, the table would then recognise the two ingredients and suggest a cocktail. My role as technical lead on the project was to ensure the project was technically feasible within budget and time. The result needed to be simple, beautiful and intuitive. I had investigated a few different approaches and technologies but with the recent advances of GPU, accelerated Flash was now an appealing option. I come from a Flash developer background so I was able to use my existing knowledge to create a desktop application using Adobe AIR. We used C++ and optics to track different fruit and bottles where it would send raw data through to my AIR Application to interpret. In the past, I’ve always struggled trying to use Flash for full HD resolution installations because of speed, however using the Starling Framework and Flash Player 11 I was able to quickly use my existing knowledge of Flash and get it accelerate onto the GPU. I created a particle system that would sprout out underneath the fruit , I was able to pump the particle count really high without worrying about frame rate, something that I couldn’t do before this latest release of Flash. Additionally, I was able to load all the images into memory and never dropped 60 frames per second and ran like a workhorse for the entire campain. Here are some additional other Blogs Posts about the project.